On February 9th, the Wheeling, WV Moose Lodge #2621 graciously opened its doors to the public for an Amigami party! We set up shop (no one guessed it’d take 4 big tables!) 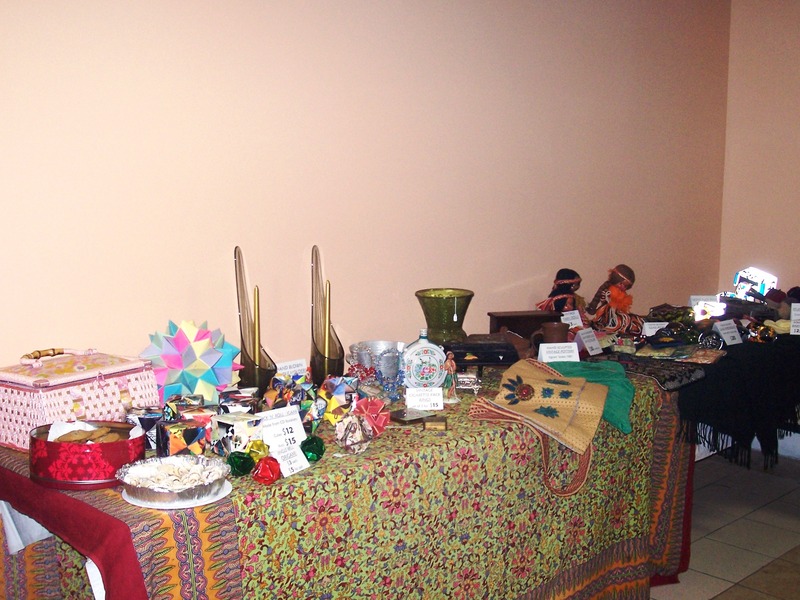 with all our our jewelry, origami, winter wear, as well as vintage items and art from other local artists. The party was a great success – many people came (both Moose members and the general public), and everyone found that perfect something to go home with. Some folks even hung out at the Moose Lodge after the party, which is awesome, because the Lodge is always looking to increase its membership. All in all it was a wonderful evening, and we can’t wait to do it again soon! Talk is in the air of hosting a similar party at the Cutting Cottage salon in April, so I will keep you posted. And of course, if you would like to host a smaller-scale Amigami Jewelry Party and receive special Host Discounts, please contact me. Ready for the Party to Start!